Sure, Firefox has a great plug-in architecture that has created a rich ecosystem of third-party add-ons, but Safari’s got a halfway decent development debugging environment as well. 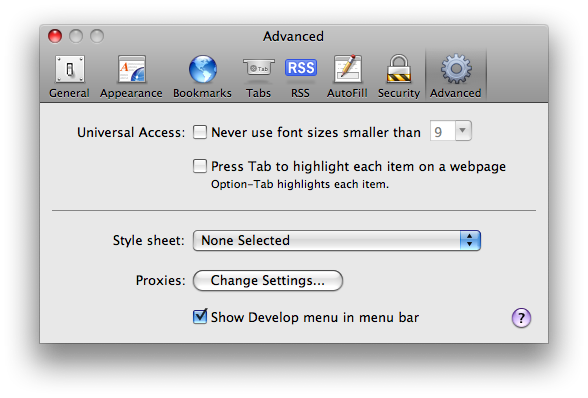 Here’s how to enable it:Click the Safari menu, select preferences, and click the Advanced tab. 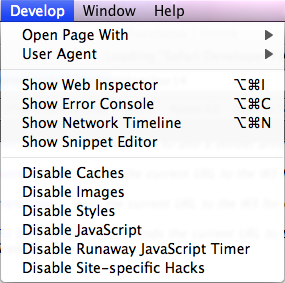 From there, click the “Show Develop menu in menu bar” (see below). 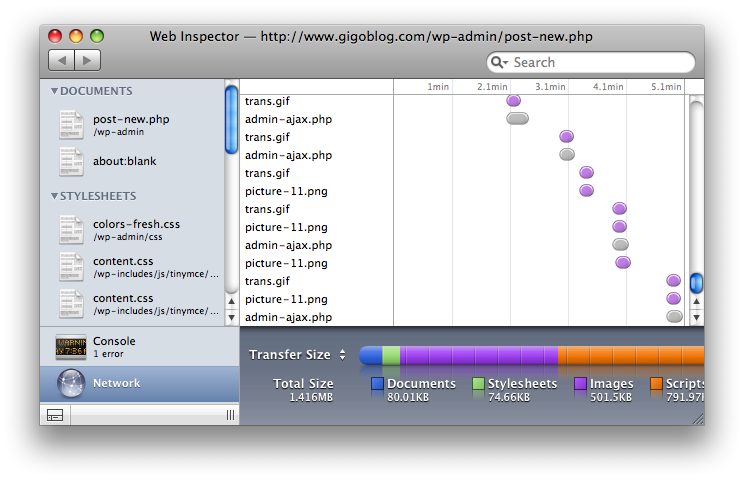 This gives you several nice options, including a handy network timeline. This entry was posted in Front Page, How-To, Technology and tagged Browsers, How-To, Mac OS X, Web Development by Chris Brewer. Bookmark the permalink.